Header Image: Narrative Employees Johan, Dan, and Ryan building new and exciting Narrative Products! A little while ago, we announced to you that we are opening up our API – this is part of a larger space that we call the Narrative Open Platform. Open Platform will enable our community to build custom made applications for any specific use case when it comes to Narrative’s products. You can read more in depth about Open Platform in this recent blog post. To make a deep-dive and explore what our community can make happen with Open Platform, we will host a Hackathon in Stockholm, Sweden on Saturday, February 27th. The hackathon starts at 9.00 and presentations will start 19.00. There will be prizes and food – and you are invited! The Open Platform Hackathon is being sponsored by Imagga – an awesome Image Recognition Platform-as-a-Service providing Image Tagging APIs for developers & businesses to build scalable, image intensive cloud apps. Imagga gives away a 3-month subscription to their Pro service as a prize at the Hackathon. Of course, a lucky winner will also be rewarded with a Narrative Clip 2. If you are a developer and want to save yourself a spot at the Open Platform hackathon you can submit your interest through this form. There is still space for a few more! 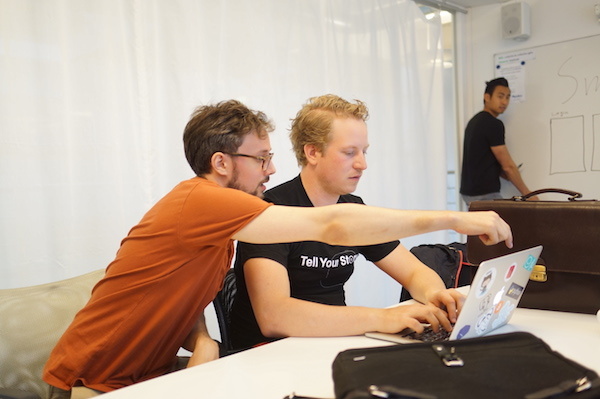 What would you like to see being built during the hackathon? Leave a comment below and we’ll bring your suggestions to the attendees! No matter if you’re new to Narrative, or a well-known friend; we hope to see at the Hackathon!